A well-maintained and well-kept garden or lawn will always make a good impression on people. Our home exterior and landscape can tell a lot about us as people, to other people. And if you want the people to think highly of you, you need to call our company to help you with your grass areas’ maintenance and care. 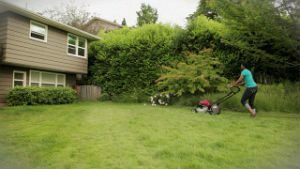 Our company is inviting you to hire our impeccable grass cutting service, and we promise you our gardeners will prove to you, why it is known as the best grass cutting service in Cricklewood. If you choose our company for your grass cutting service provider, we can promise you that you will be more than happy with our results. You will have your grass areas cut by the best professional gardeners in town, who know the intricacies in their work. What is more, our gardeners are equipped with amazing and efficient modern equipment, which allows them to work even better and more quickly. Our gardeners have mowing machines of all sizes and will easily cut the grass even in the difficult to reach places, such as around decorations or flower beds, near walls and fences, etc. 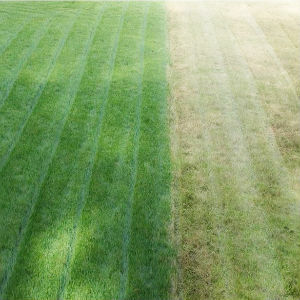 You can rest assured that your garden and lawn will be evenly cut, and will look fresh and even greener than they used to. You can hire our grass cutting service for regular maintenance and you will never have to worry about cutting your grass on your own again. Please, call us any time. Get the best grass cutting service in NW2, and save yourself some money with our budget friendly prices.